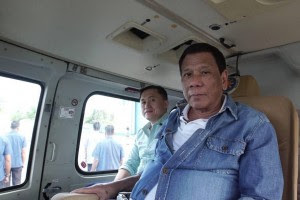 Cordillera - Philippine President Rodrigo Duterte is set to visit the victims of Typhoon Rosita in Mt. Province according to his former aide Bong Go. According to Bong Go, Duterte's trip was scheduled on November 1 but was halted due to road damages which is impassable right now. "Susubukan naming pasukin subalit based on the assessment at advance team na pumunta doon ay hindi talaga accesible yung roads ( We will try to enter, but based on the assessment and the advance team who went there, the roads are impassable)," Go said during an interview in Manila. "Not passable at talagang gumuho 'yung daan patungo doon at even the landing site pa ay mahihirapan dumaan 'yung ating Pangulo ( It's impassable and the road towards the area already collapsed, it's also difficult on the landing site," he added. 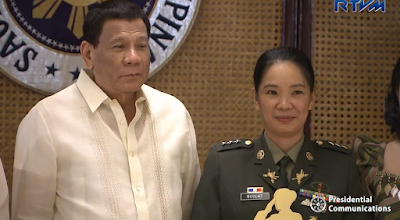 It can be recalled that President Duterte met with the families of some of the victims of typhoon Ompong in September and offered cash assistance and goods. The Mountain Province Disaster Risk Reduction and Management Office said that all three buildings of a DPWH compound located in Natonin town in Moutain Province were buried in the landslide during the onslaught of typhoon Rosita. Rescue and retrieval operations started yesterday (Wednesday) morning and 10 bodies were recovered and 14 people were so far rescued as of 4 pm yesterday. It was learned that most of the victims were construction workers of the DPWH building that sought refuge during the typhoon. Initial reports said around 31 people, most of them are laborers, one project engineer, two to three security guards and six to seven evacuees were in the DPWH building when the landslide occurred. I'm proud of this work. Local gov news should promote more news live this.